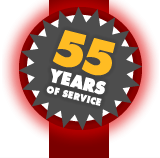 We continue to strive to be one of the premier Radiator shops in Ohio. If you require any assistance or need to contact us, please call us directly during our normal business hours or you may also use the form below to contact us anytime with questions. We look forward to speaking with you.